This is a stylized Portrait, printed on canvas. It has a rich color that will enhance space. The artwork is mounted on expresso plastic frame. It has one saw hanger and depth of 2 inch. Made in Canada, it is packaged with care and is shipped to you, ready to hang on your wall. Brought to you by ArtMaison Canada. 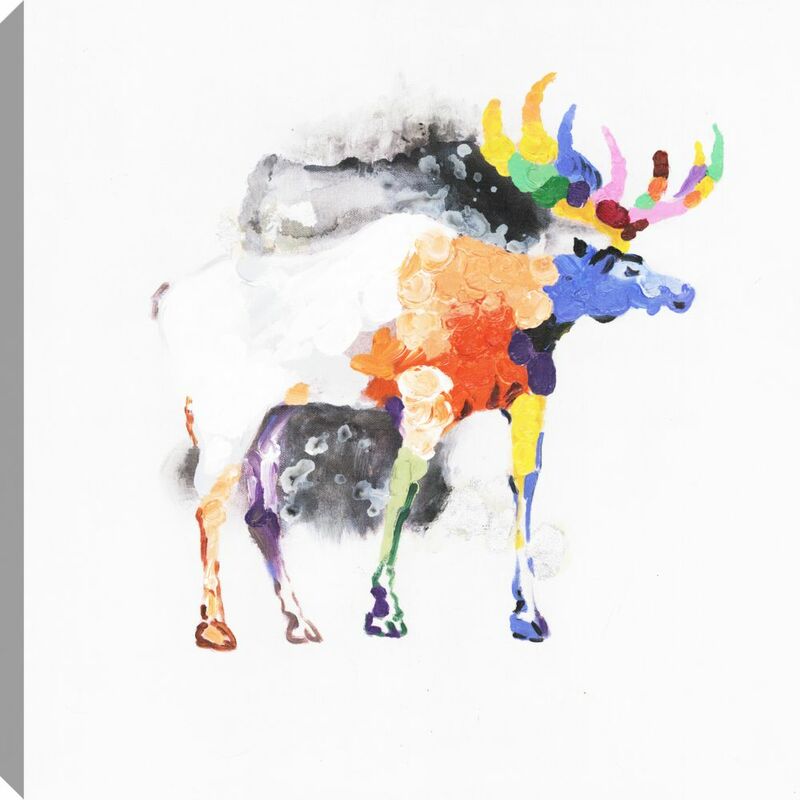 This is a stylized Animal Art, printed on canvas and depicts a Red Deer. The artwork has uses natural looking colors. It has a rich color that will enhance space. The artwork is mounted on solid MDF and grey floater molding. It has one saw hanger and depth of 1.5 inch. Made in Canada, it is packaged with care and is shipped to you, ready to hang on your wall. Brought to you by ArtMaison Canada. Colorful, Animal Art, Canvas Print Wall Art This is a beautiful canvas print wall art. It has a rich texture that will enhance space. The artwork is stretched on solid MDF and is unframed. It has one saw tooth hanger and depth of 1.5 inch. Made in Canada, it is packaged with care and is shipped to you, ready to hang on your wall. Brought to you by ArtMaison Canada.